As the saying goes, death, taxes, companies leaking your private data, and imperial stouts in the fall are the only inevitable things in life. The latter of those often arrives in the form of an expensive single-bottle release stored on a shelf most people avoid in the liquor store. It’s a style every new brewery wants to release in hopes of making its mark. But the granddaddy of them all is Goose Island’s Bourbon County Stout. That’s not an assertion about it being better or worse than contemporaries like Darkness, KBS, or Big Bad Baptist. It’s just pretty well the reason those beers exist. In 1992, long before Goose Island was sold to Anheuser Busch, former brewmaster Greg Hall had the wild idea to age a stout in emptied bourbon barrels. (At least, it’s 1992 according to Goose Island, but the year has been a subject of some debate.) It went on to be one of America’s most influential beers. Its annual Black Friday release is met with long lines and people coveting the beer and its many variants. Even the brewers hold it in high regard. “We have a Bourbon County-first policy around here,” Brewmaster Jared Jankowski told Thrillist. What Is Bourbon County Stout? The imperial stout with a high ABV remains one of the brewery’s iconic creations, even after the brewery itself became a symbol of big beer’s plan to stifle the craft beer revolution. But that hasn’t made much of an impact on the actual beer, says Jankowski. 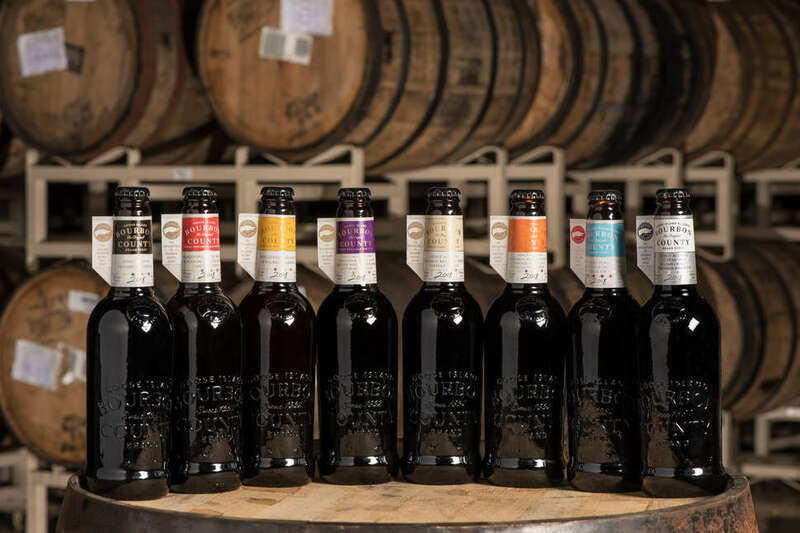 The recipe hasn’t changed, outside of “minor process tweaks,” since Hall first released Bourbon County at the Chicago brewery’s taproom. The barrel-aged stout is familiar now, but Goose is credited with having done it first. What emerges from the barrel is a complex, sweet swirl of malts, chocolate, vanilla, oak, char, booziness, and licorice. The stout for the Original gets aged 12 months in bourbon barrels from Heaven Hill. “We think the best quality barrel and the best profile for Bourbon County comes from a very freshly dumped bourbon barrel,” Jankowski says. “We like to get them up here within one month of the barrel being dumped.” Then the beer goes into the barrel within one month of the barrel’s arrival. When you pick it up at the local liquor store, you’re probably paying north of $12 for a single 16.9-ounce bottle. The variants cost even more. It’s not cheap, even if it pales in comparison to contemporaries that charge up to $100 for a single bottle. But that’s clearly no obstacle for the legions of loyal drinkers who flock to get their hands of the beer annually. Where Can I Get Bourbon County Stout? Barrel-aged stouts are often best known when they’re the hardest to get. That’s how Surly’s Darkness got its reputation and how things still are with the $100-a-bottle Kentucky Brunch Brand Stout from Toppling Goliath. That’s not necessarily the situation with Bourbon County Stout in 2018. The beer is released annually on Black Friday with a big party at the Chicago brewery on Fulton Street. That celebration — November 23 this year — is met with long lines and enthusiastic drinkers. If you’re waiting in line this fall, you’ll be served fresh pancakes by volunteers from the nearby Binny’s Beverage Depot. The beer is made in relatively large quantities, and it’s distributed nationally. So, there’s a good chance it’s available in your area, as long as local laws don’t prevent the beer from being sold. (The alcohol content is high, which restricts the sale of Bourbon County in some areas.) However, it’s not exactly like walking down to the corner store and getting an IPA for the big brewery in your state. Bourbon County might be in your area, but that doesn’t mean it won’t move quickly. It’s certainly worth calling ahead and maybe seeing if your favorite liquor store will set some aside for you. However, as mentioned earlier, there’s more than one kind of Bourbon County Stout. In fact, there are eight versions in 2018. The seven variants are the most they’ve ever done. The only restrictions on your ability to find the variants is that the Proprietor’s blend is only available in Chicago. Meanwhile, the Reserve blend is limited to buyers in Chicago, Kentucky, New York City, and Philadelphia. If you’re outside of those areas, there are still six different versions of the beer you can track down. The original has been brewed since 1992 (maybe). The stout is aged in 4-year-old Heaven Hill Bourbon barrels. If you’re tasting BCS for the first time this year, this is the obvious place to get your feet wet. This year’s Chicago-exclusive is exploring “the broad spectrum of chocolate.” BCS is already a sweet, rich beer. The addition of dark chocolate and a couple types of cocoa nibs makes it even more so. This is a brand new addition to the BCS lineup. It’s the first time a BCS recipe has strayed from the classic Imperial Stout recipe since Goose Island did a Barleywine variant in 2013. 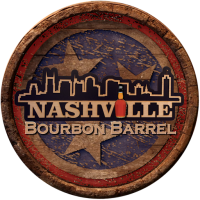 Opposed to the jet-black look of the other beers in the lineup, this is more of an amber and has a little lighter profile, taking on more characteristics from the Heaven Hill barrels. This variant has been released previously and is coming back this year. The variant uses real vanilla beans and has a rich aroma and flavor without overpowering everything you like about the drink. This returning variant is something a little outside the norm. The beer was aged in rye whiskey barrels with raspberry and blackberry juice and puree. This one feels like a boozy play on a classic (and occasionally reviled) Christmas treat. It’s BCS with orange and cholate, giving it a totally different feel than its less zesty counterparts.